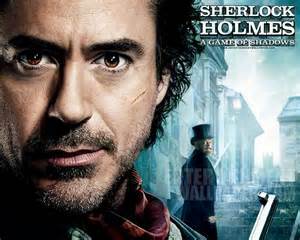 Brief Synopsis – Holmes and Watson try to find and stop the elusive Prof. Moriarty who is also very adept as everything they can do. My Take on it – After SG “forced me to watch the original movie in this series, I figured that it was only natural that I watch the sequel while I was in the swing of things. Unfortunately, I didn’t enjoy this sequel as much as the first movie. There are too many lulls in the storyline that make certain scenes feel quite unnecessary and/or boring. I liked the fact that they chose an adversary who was able to enter into a real mind bending match of chess vs. Holmes and Watson. The casting of Stephen Fry as Holmes’ brother was a great one because he played the character so well. The chemistry between Downey Jr. and Law is once again quite good, but they still don’t come anywhere close to matching what Benedict Cumberbatch and Martin Freeman have in the recent Sherlock adaptations on TV. Bottom Line – Not as good as the original. Has too many lulls in the story. Downey Jr. and Law have nice chemistry together, but still can’t reach the level of Cumberbatch and Freeman. Fry is a breath of fresh air here and does a wonderful job as Holmes’ brother. Unfortunately I have to agree that it’s just not up to the original. hat’s what I thought. I didn’t enjoy the first one nearly enough to give the second a chance. I remember finding this film entertaining enough but nothing more. I agree this one isn’t on the same level as the first. I still enjoy it, but the story meanders too much. Thanks for giving all these movies a try!